Turkey is now investigating claims that gunman Gokmen Tanis, a Turk who shot and killed three people in The Netherlands yesterday and may have once fought for ISIS, sought revenge for the massacre of Muslims in New Zealand and that it might have been the motive for his crime. Tanis, 37, was arrested by Dutch police Monday evening after an eight-hour manhunt in a building not far from the scene of the attack. 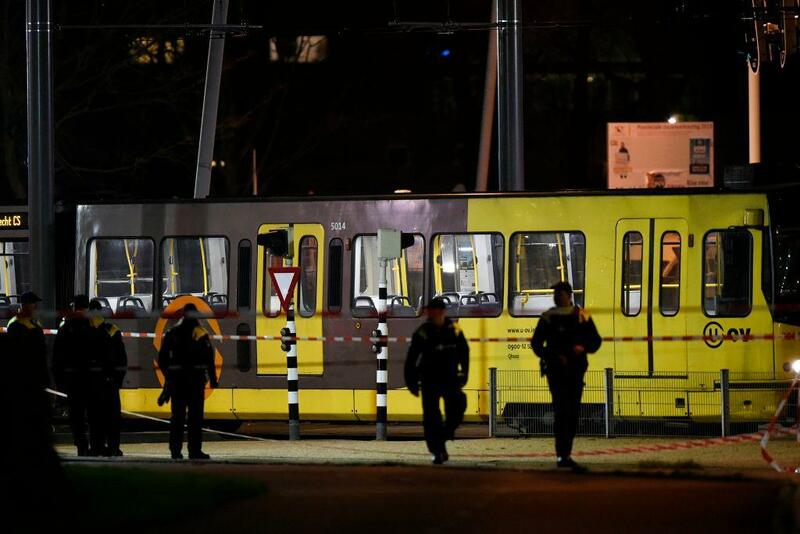 Tanis began firing on fellow commuters at the 24 Oktoberplein junction at Kanaleneiland on the outskirts of Utrecht at about 10:45 a.m. local time (09:45 GMT), killing three and wounding others. Tanis then fled the scene and was immediately the subject of a manhunt by Dutch police and counter terrorism police. Police describe Kanaleneiland as a quiet residential district outside Utrecht with a large immigrant population, many of whom are Turks. One witness told local media that "a man started shooting wildly,” while another said "I heard people yell: Shooting! shooting!" Dutch police said the gun attack appeared to be a terrorist incident. At a press conference on Monday evening, however, a prosecutor said the shooting have been motivated by "family reasons” but didn't explaining why this might be the case. In Turkey, however, the National Intelligence Organization (the state intelligence agency) is investigating if Monday’s shooting was personally motivated or was an act of terrorism, said president Recep Tayyip Erdogan. “We strongly condemn the attack that took place today (March 18, 2019) in the city of Utrecht, in the Netherlands regardless of the identity of the perpetrator and the motivation behind it,” said the Turkish Foreign Ministry in a statement. “We extend our condolences and wish fortitude to the families of those who lost their lives, and speedy recovery to those wounded.”. There is, however, outrage Tanis might have been motivated to go on his killing spree following fiery speeches by Erdogan, who on Saturday assailed Islamophobia in the West before supporters in an election rally. Turkish media reports Tanis is from Turkey’s central Yozgat province, which was the scene of several anti-ISIS operations in recent years. Tanis is said to have been arrested by the Turkish government for his connection with ISIS, but this remains a rumor. ISIS and other Jihadist groups have long operated in the region, said Turkish media. Tanis is also thought to have fought against Russia in the First Chechen War from 1994 to 1996, but this is unconfirmed and conflicts with reports Tanis has been living in The Netherlands since 1993. Tanis was known to Dutch police for both minor and major crimes, including a shooting in 2013, which is again being investigated. “Our country has today been shocked by an attack in Utrecht,” said Dutch Prime Minister Mark Rutte, who convened crisis talks immediately after the incident. “A terrorist motive cannot be excluded,” he said.